With the 2016 sunset of the 2G cellular network , all 2G SMS Gateways will stop functioning. The Attention! 4G/LTE SMS Gateway utilizes the most up to date cellular technology available from any GSM or CDMA provider. Scalable from 1 to 4,096 parallel channels of communication, the Attention! 4G/LTE Gateway addresses the requirements of any organization. Enterprise notification solutions provide assurance the correct people are notified. Redundant configurations, escalation chains of notification and self-monitoring capabilities make certain every critical event is responded to. 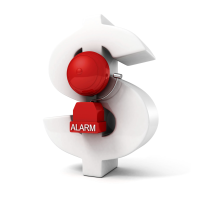 Alarm management systems provide a central consolidation point for all enterprise alarm data. Input from system and network management products, SCADA systems, hardware and custom applications is managed in the exact same manner. Robust alarm parameter comparison algorithms provide assurance the most critical events will be detected, and responded to. Web accessible messaging systems provide quick and easy access to enterpise communication, from any browser. Perfect for help desk environments, or mass communication using an unlimited variety of notification technologies such as SMS, pagers, voice telephone calls, Email and IM. Opt In, Subscription notification is virtually free of administrative duties. Users self-register, then select the Subjects of interest. 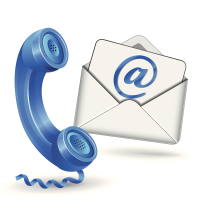 Designed for very fast dissemination of information using SMS messaging and SMTP Email communication. It's Monday morning. You need to find out if anything important happened over the weekend. And you want this information now, from the convenience of your smartphone, tablet or desktop . Scanning for important enterprise messages should be as easy as swiping through a photo album on your favorite mobile device. Copyright © 1993 - 2017, Attention Software, Inc. All rights reserved.